Remember hair mascara? I used to love that stuff when I was a kid. That, and that horrible, powdery, spray-on hair color that always ended up getting all over everything and making a giant mess. I bought so many cans of that spray color every year even though it was messy, smelled horrible and never even looked good. If it was cheap, brightly colored, and temporary, I had to have it. Ah, memories. Ultra Pink (70024), Lapis Blue (70025), Capri Coral (70027). 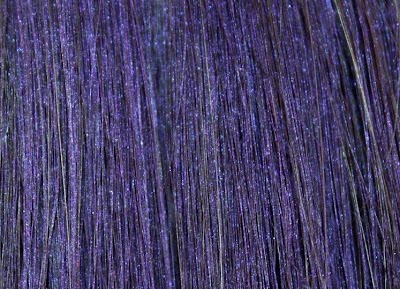 and Royal Violet (70028). 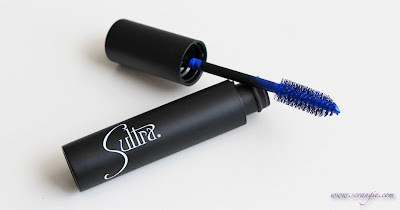 Ultra Pink and Capri Coral are matte colors, but Lapis Blue and Royal Violet have a bit of shimmer to them. 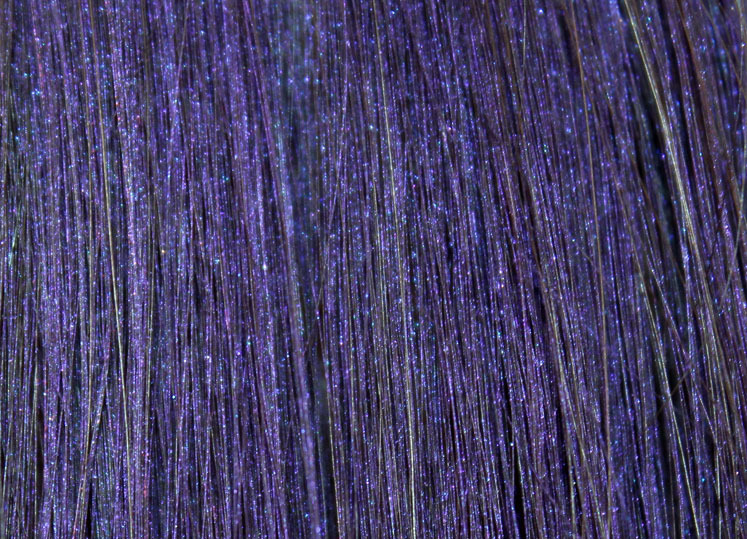 They're not so shimmery that they look sparkly and glittery, but under the right light, they do glimmer a little. Start with clean, dry hair. Make sure you style your hair first, but wait to apply hairspray until after you've applied your color. 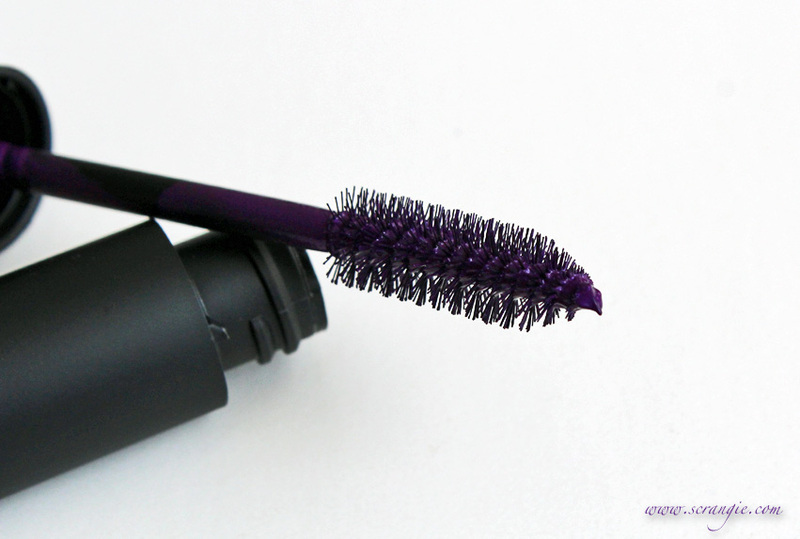 Using the mascara wand applicator, apply to desired areas by combing the wand through the hair. You will need to go over each area several times, on both the front and back of the hair sections if you want fuller, more opaque coverage instead of a sheer wash. Allow the hair mascara to dry. This takes anywhere from 10-30 minutes depending on how much you've applied. I used a hairdryer on cool to help it dry faster. 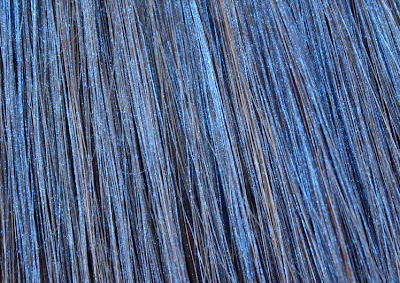 Brush through the hair to remove the matted/separated look and smooth out the color. Brushing is necessary. 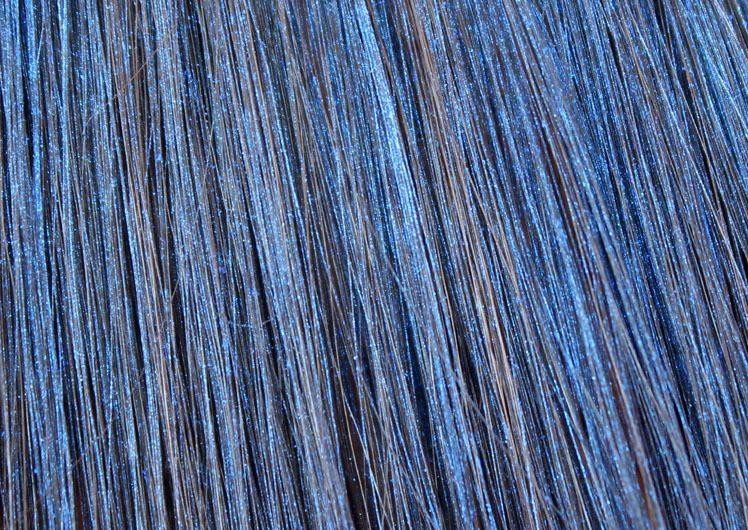 It helps the color blend into the hair and not look so chunky and stringy. The colors actually show up on my dark hair. They look bright and surprisingly opaque (though not 100% full coverage). I'm sure they'd look brighter and better on light hair, but I'm just impressed that they even showed up at all. The wand is large and covers a good amount of area at once. The tubes are large- 0.62 oz. The colors are bright and pretty. They are temporary. Good for someone who wants fun colored hair on the weekends but wants it gone by Monday. For some reason, Capri Coral smells really, really good. Like freshly baked bread or something. Strange, yes, but you won't see me complaining. The formula takes forever to dry and it's really heavy and sticky. 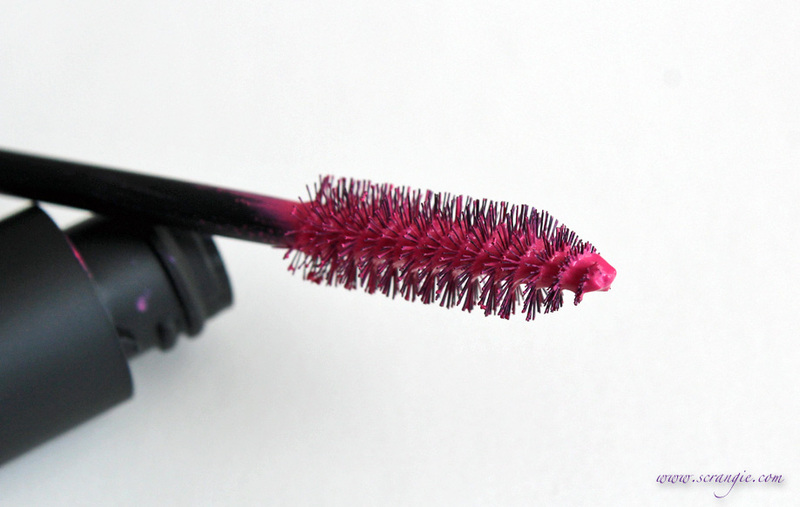 Even after the mascara has dried, it still transfers onto your hands, face and hairbrush. Would probably be best not to apply this on any part of your hair that touches your face, and be careful about your hair touching clothes and furniture. It runs if it gets wet. It's overpriced- $24 for a 0.62 ounce tube. 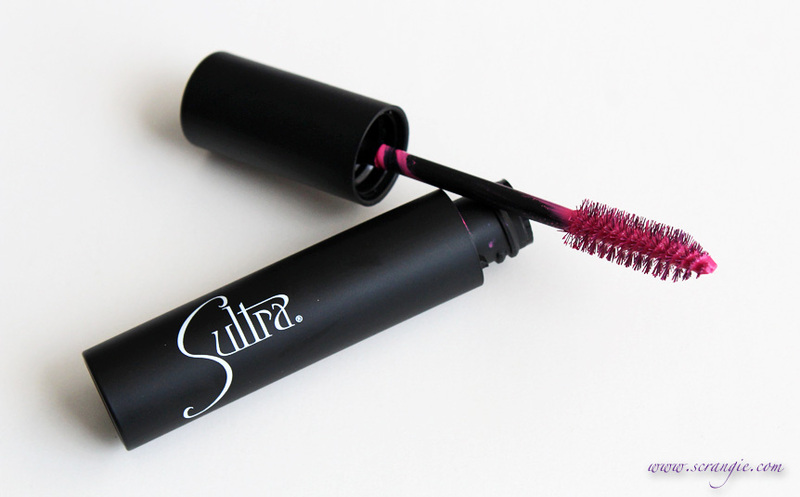 For comparison, Sultra's clip-in extensions are only $18 and you can use them forever and ever. 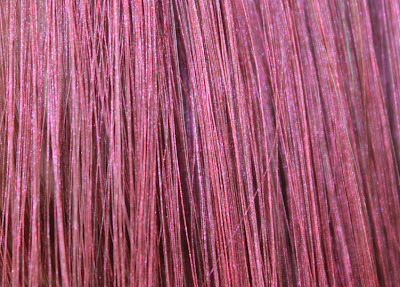 Streekers temporary colors are only $12, and this brand from Claire's is only $3.50. 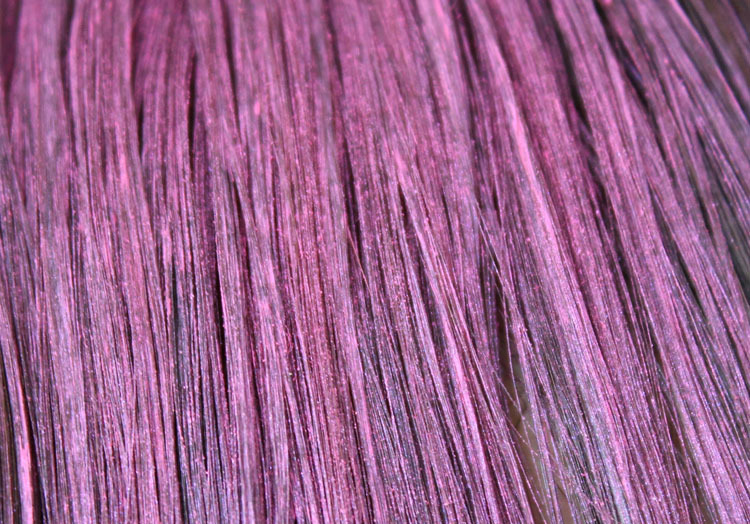 While it does add a lot of bright color to your hair, it's not convincing. 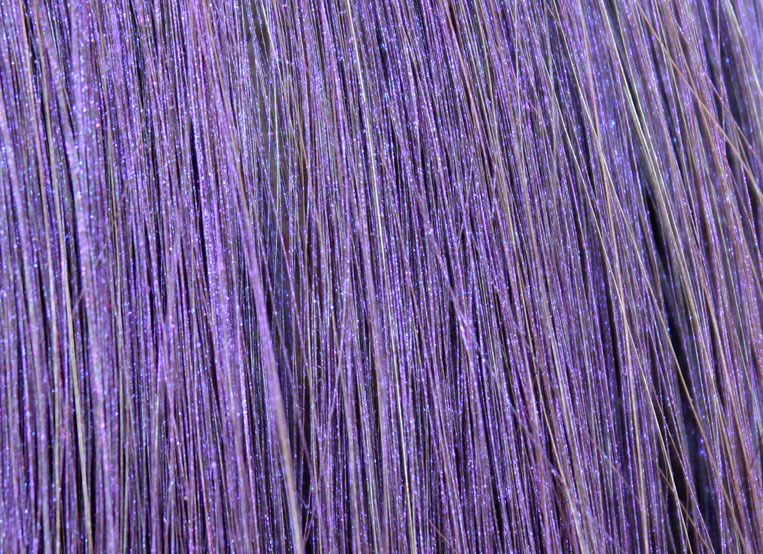 Up close, you can see that it's made of little chalky particles and it looks like hair mascara, not like hair that is actually colored. 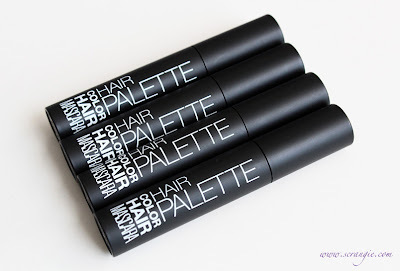 I thought they worked well and looked good and I especially liked that these show up well on dark hair. People with lighter hair will not need to use as much product to get the color to show up, and I'm sure they'll also have a brighter-looking result. They do take a long time to dry, but other than that, I was happy with the way they turned out on my hair. 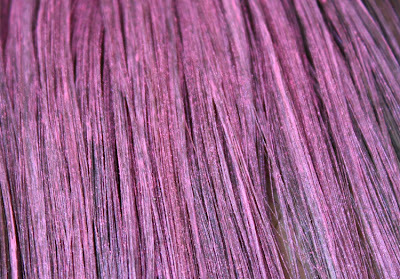 One of the hair trends I've been seeing lately (and one that Sultra recommends) is people coloring only the very ends of the hair with a bright color, like a dip-dye. You can definitely achieve that look with these, but I'd be very careful about what your hair touches if it's longer than shoulder length. Don't wear a white shirt and you should be fine. 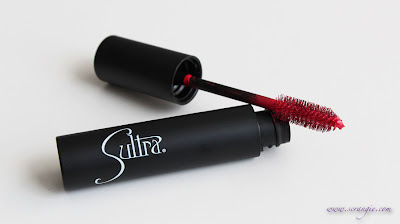 Sultra Hair Palette Color Hair Mascara is available at Sephora, $24 each. Thank you for this review -- I was curious how they performed when I saw them on Sephora's website. The last time I used hair mascara was in 1998. I thought it looked good, but there's photographic evidence that shows otherwise. YES - I so remember hair mascaras from back in the day! :) They were so much fun to use, and I forgot all about them until you remembered me in your awesome blog post. Thanks for sharing your thoughts on these. :) I've been really busy and it seems like I haven't left a comment on your blog in sometime. :( But I have been checking out your blog posts. Now I need to go back and leave a few comments! Hope you're having a wonderful day, Scrangie! Keep up the great work - you're my favourite beauty blogger! Err..."remember" = "reminded". :S D'oh! 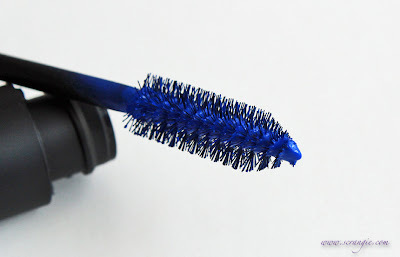 i remember hair mascaras! ooh.. but im not gonna buy one now. These remind me of The Body Shop hair mascaras from back when I was a child! 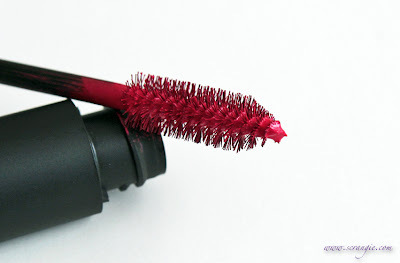 I remember hair mascaras from wayyy back! Not sure I would want to use these now, and not at this price! 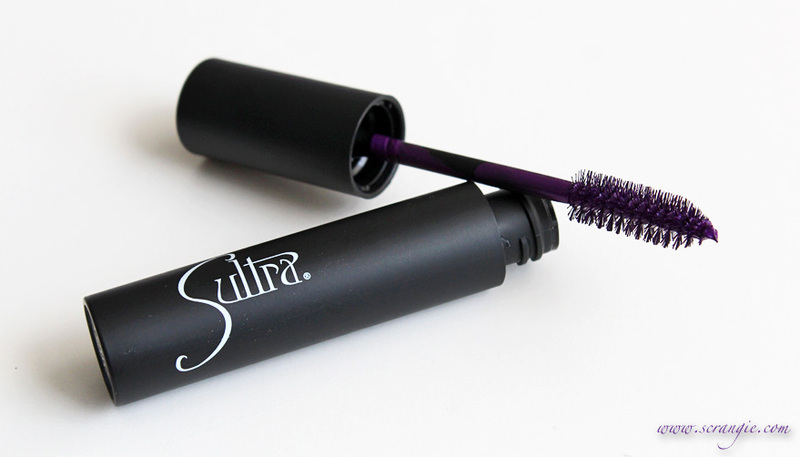 These new mascaras are neat, I like the purple. The transferability is a deal-breaker for me, though. my hair is long and gets everywhere and touches everything. You would be able to trace my every move by the smears of color on everything and I just don't want to be found that easily, lol. To help with the chalky thing, What I did was I applied it with the wand and kind of brushed it through my hair with a fine tooth comb or just my fingers. Yeah you're gonna have to do some cleaning after, but it helped with the chalky appearance. 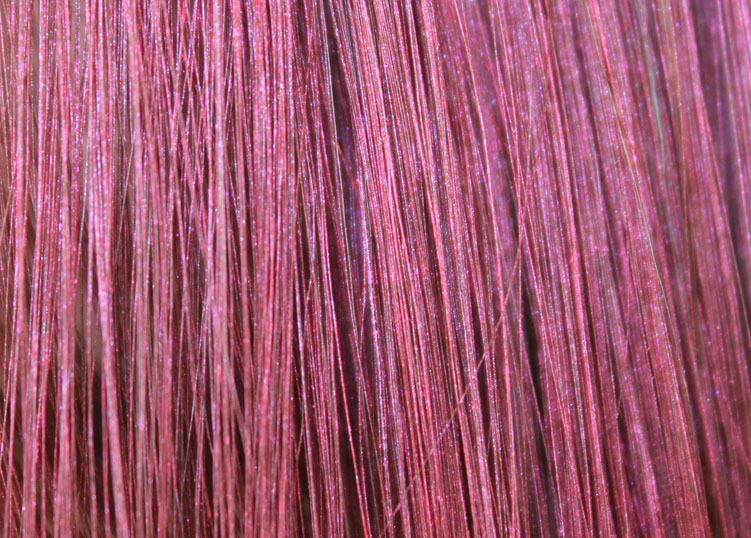 Also, not sure about Ultra Pink, but I know Capri Coral has a bit of fine shimmer in it so it's not totally matte. Thanks so much for the review~! I remember these, and all the other brightly coloured tat I used to buy, no doubt full of dangerous substances or something. 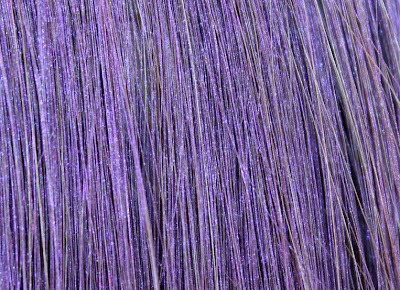 I'm amazed they show up so well on your dark hair, pity they transfer though...and the price? Ouch. Interesting! Thanks for the very honest review.